The Sautéed Beef, Onion and Mushroom Pita Pocket recipe is an easy to fix yet substantial lunch every occasion. 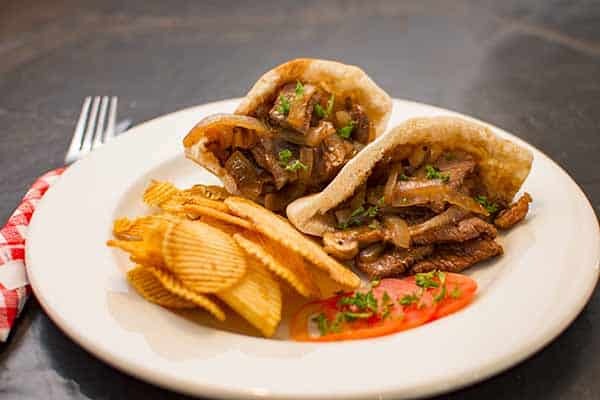 This Sautéed Beef, Onion and Mushroom Pita Pocket recipe can come very handy when you need to fix a quick, relatively light yet still substantial lunch for your audience. And when prepared with the secret ingredient, this recipe can win over even the most toughest crowd. What is the secret ingredient? Just a hint of TLC. Our guest house in Midrand is all about the homely environment, home-style cuisine and personalized service for our guests. One of our ways to make you feel at home during your stay at our guest house is to serve familiar home-cooked meals. 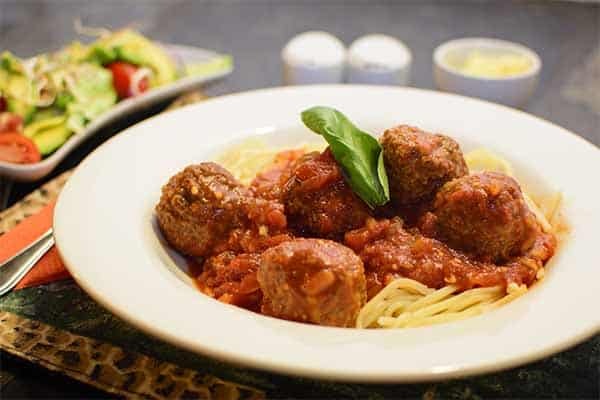 This Italian Meatballs with Spaghetti, grated Cheese and Fresh Garden Salad with Avocado is also one of those dishes on our repertoire. You probably still recall the taste when your Mom cooked it for you back in the days, don’t you?